On July 10, 1864, Civil War soldier Curtis Bacon of Simsbury died of gangrene from injuries he suffered in combat nearly two months earlier. 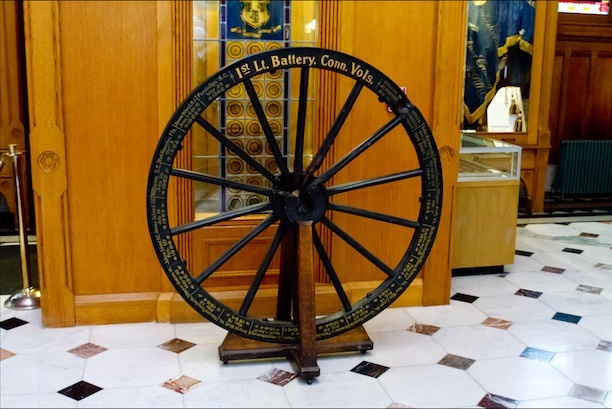 On May 15, 1864, Bacon’s regiment, the First Light Battery, Connecticut Volunteers, was engaged near Richmond, Virginia. On that Sunday morning, during the fourth day of the five-day Battle of Proctor’s Creek, a Confederate artillery shot hit the hub of a gun wheel of one of the Battery’s cannons, and the band ricocheted off and struck Bacon. Additionally, splinters and iron shards struck William Davis of Guilford in the face and chest. Comrades of Bacon and Davis believed Davis’s wounds were mortal, but they expected Bacon to survive. 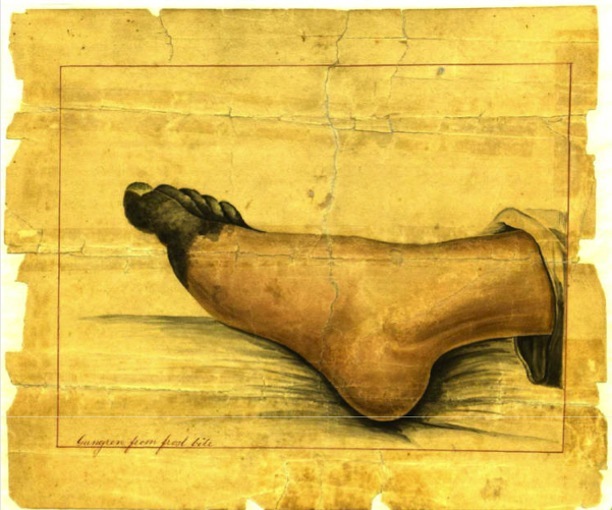 As it turned out, Davis actually had no serious injuries, while Bacon died on July 10, 1864, from gangrene that developed as a result of his wounds. Curtis Bacon was the first man to enlist from Simsbury, in October of 1861. He chose to re-enlist as a veteran on December 19, 1863. Bacon died in a hospital a little over six months later. The gun wheel that played a part in his demise now resides at the State Capitol in Hartford, Connecticut, as a memorial to the contributions and sacrifices of Bacon and the rest of the men of the First Light Battery, Connecticut Volunteers. Mike Blanker teaches history at New Britain High School.